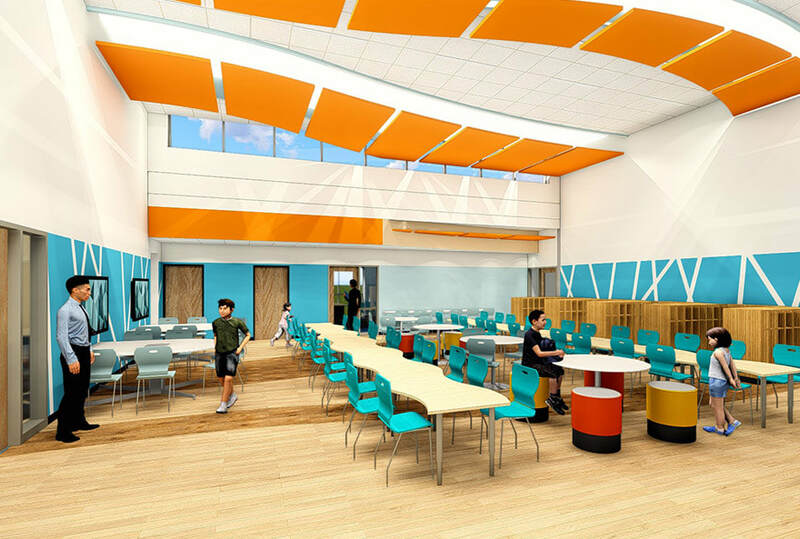 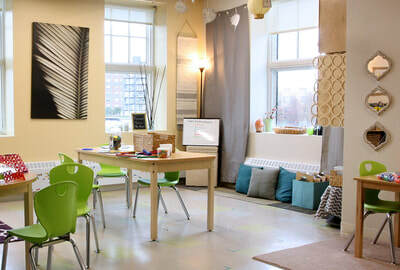 After an extensive community engagement process, Waltham Schools decided to build a new K-8 facility to consolidate its two existing facilities into a right sized, 21st century learning environment. 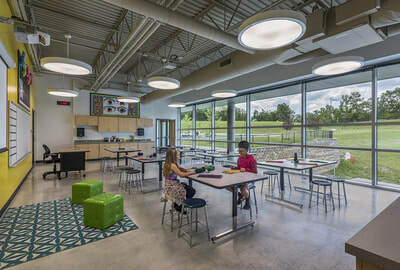 ​The layout of the facility is designed in a way to minimize square footage required, while maximizing program support and access to collaborate spaces currently not existing elsewhere in the district. 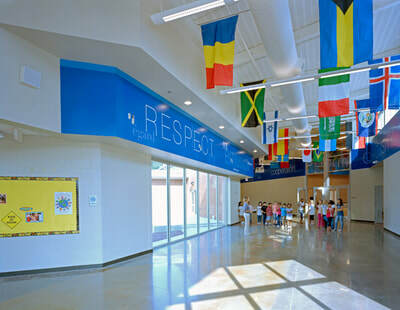 Groupings of student-scaled spaces collecting around shared resources reflect a village of learning. 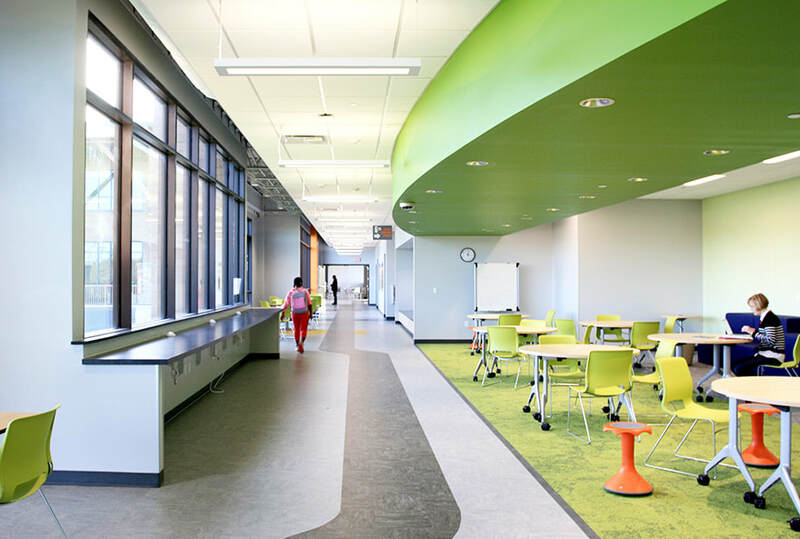 The bend and widening flow of the Illinois River in the surrounding area is recreated in the flowing social spaces of the design.